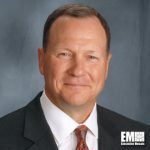 Dan Schultz, formerly vice president of Lockheed Martin‘s (NYSE: LMT) ship and aviation systems business, will serve as president of the company’s newly acquired Sikorsky helicopter business. Lockheed said Friday Schultz led Sikorsky’s integration into the Lockheed mission systems and training organization as the acquisition moved toward a close last week. “He brings a wealth of leadership experience and a deep understanding of our international customer base, ” said Marillyn Hewson, Lockheed’s chairman, president and CEO. She cited Schultz’s work as a former helicopter pilot with the U.S. Marine Corps and head of Lockheed’s helicopter system integration business. He has also managed the company’s Littoral Combat Ship, U.S. Coast Guard, aviation, information technology, logistics and other programs. Lockheed finalized its $9 billion purchase of Sikorsky from United Technologies Corp. (NYSE: UTX) Friday after China’s commerce ministry gave the final required clearance for the transaction. Sikorsky’s headquarters will remain in Stratford, Connecticut.